There are lots of great parks and spaces in Boulder where you can toss a blanket or grab a table and enjoy an outdoor meal. But some places are better than others. Want a shaded area? A grill? Water access? It’s all possible, if you know where to go. 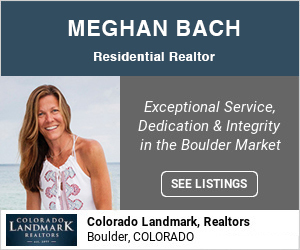 Whether you prefer a large, open, grassy area or more intimate settings, you will find your perfect picnic spot in Boulder. The views, the seating, the shade and more set these picnic areas above the rest. Coot Lake is located a short drive from downtown, just off the Diagonal on 63rd Street. This area offers a variety of activities for you, your kids and your furry friends. Start off with a picnic; we suggest snagging the wooden dock, with its three benches and beautiful views. Enjoy the water and keep an eye open for fish. The lake is quite clear and you never know what you might see. After you’re finished eating, pack your basket back into your car (parking is right by the dock) and enjoy the area. There is a 1.2-mile path around the lake, which offers more picnic tables, benches and scenic viewing opportunities. If you’d like a longer walk, take the fork that leads around the Boulder Res. If you’ve got young kids with you, be sure to go to the wildlife reserve for wetland species so they can look for local wildlife. Take them on the educational art walk, where they can read quotes about the lake as well as enjoy different artists’ interpretations of the lake’s scenery. Your furry kids don’t have to be left out of this outing either. The trail is dog-friendly, and there are designated areas where pets can swim in the lake. Remember that dogs are only allowed off-leash if they are registered in the Voice and Sight Tag Program. Directly across the street from Coot Lake is the Tom Watson Park. This large community park is great for families with multiple kids or young children who shouldn’t play near open water but still want to enjoy the views that Coot Lake offers. You can pack a cold picnic or plan for a longer stay. Tom Watson offers grills that can be used on a first-come, first-served basis (parties of less than 50), or reserved for private use or larger parties. Alcohol is allowed with a permit, so this area is great for people of all ages. After your meal or while the grills are getting fired up, enjoy all the amenities this park offers. There are volleyball, tennis and basketball courts as well as ball fields. You will need to bring your own equipment. Or if ball sports aren’t your thing, bring your bikes and enjoy the park’s bike-friendly trails. Younger kids will enjoy the playground, climbing structures and sandbox, all within sight of the covered picnic tables and grilling area. The Valmont City Park is a great place to go for a picnic if you have older kids, no kids, or all your kids have fur. This park offers fantastic views of the Flatirons from all of its picnic tables, both sheltered and open. Whether you want to work up an appetite before your picnic or you want a sure way to work off those calories, this bike-centric park is a great place to get a workout in with your picnic. 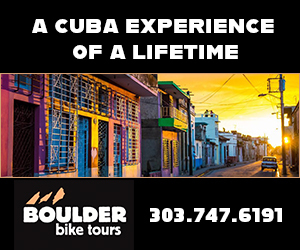 This park has both paved and unpaved multi-use paths as well as a bike park, so be sure to ride your bike to the park to enjoy all the amenities it has to offer. The bike park is 42 acres. It offers natural terrain surfaces, which gives it the diversity to challenge several riding styles and proficiencies. If biking isn’t quite your thing but you still want to enjoy a sport, check out the disc golf course. It’s just across the street from the main park. It offers 18 holes. These holes are set up in different directions, uphill, downhill, long, short, you name it. The variation keeps the game challenging. For even more variety, alternate baskets are being installed at 13 of the 18 holes, giving you even more opportunity for different routes and to hone your skill. While this is a very active park, it’s also a great place if you’re perfectly happy to sit and enjoy the views but you have a rambunctious puppy who needs to get out some energy. The park offers both a large- and small-dog area. The large area is 3 acres, while the small is a quarter acre. A water spigot is available to keep your pooch hydrated. 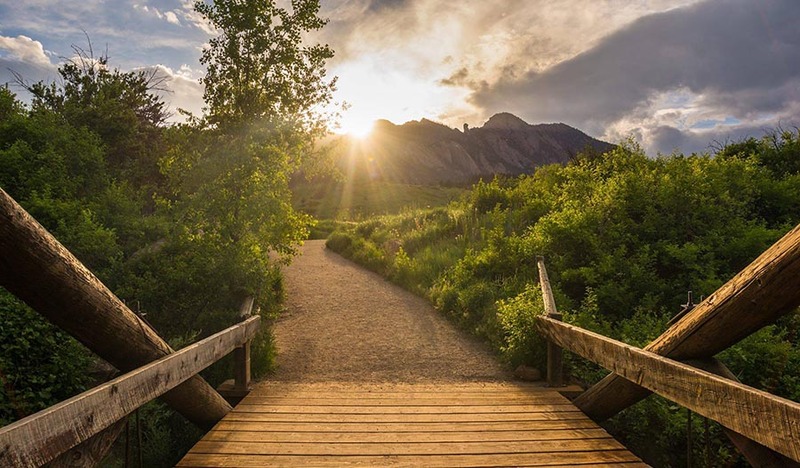 The Foothills Community Park is a 65-acre park that offers such a variety of amenities and spaces that it’s the perfect place for families or individuals of all types. 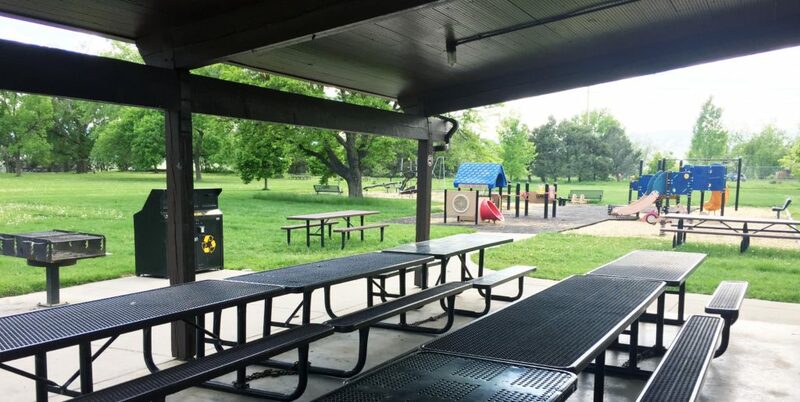 It offers three reservable picnic areas, and a fourth area that is a community use area near the playground. Two of the three reservable areas allow alcohol with the proper permit. There are no city grills at this location, but portable gas grills are allowed with a permit. Along with a huge amount of picnic space, this park offers all kinds of other amenities. There is a large playground suitable for kids ages 2 through 12. The park also offers a rock wall and a polar sundial. There are art structures are placed throughout the playground and artistic designs in the sidewalks, for kids who prefer visual stimulation to physical activity. For the bigger kids in your life, the Foothills Community Park also has basketball hoops, inline hockey rinks and a soccer field. 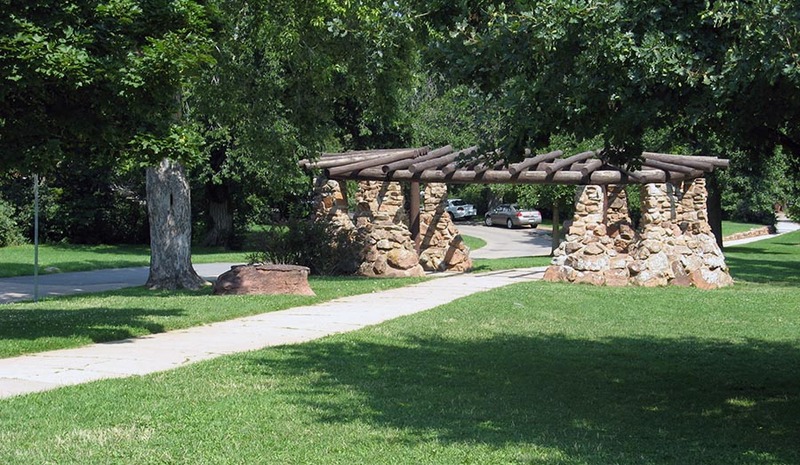 There is also a trailhead that begins at the park, for those who want to enjoy their picnic with a hike. The Foothills Community Park also has a 2-acre dog park, with both a small- and large-dog area. Chautauqua is Boulder’s catch-all for outdoor entertainment, and picnics fit right in. There are many different areas to enjoy at Chautauqua, which means you can come back again and again and have a different experience each time. For large groups, rent the Chautauqua Picnic Shelter. 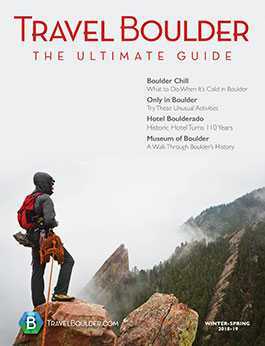 It is located near two trails and offers clear views of the Flatirons. It accommodates up to 75 people. You can bring your own food and beverages, or have your event catered through the Chautauqua Dining Hall. Reservations are required for large groups. For smaller groups, reservations aren’t needed. Find an open area and spread out a blanket on the Chautauqua Green. Enjoy your food while you take in the natural beauty of the Flatirons. The North Lawn at Chautauqua offers a similar open, grassy area where you can enjoy your picnic. Individual picnic tables are available throughout Chautauqua. Take a stroll through the gardens, around the dining hall and explore the natural beauty before finding the perfect place to share an outdoor meal. Lovers’ Hill Park is a small, intimate neighborhood park. You’ll find no crowds here. It is a lovely place for a romantic picnic for just you and your partner. There is a picnic table and several benches. Lovers’ Hill Park offers unpaved walking paths with tall grass and many flowers. These plants attract butterflies, bees and birds, which make this an even more beautiful place for a picnic. Take a leisurely stroll and enjoy the wildlife before your picnic. 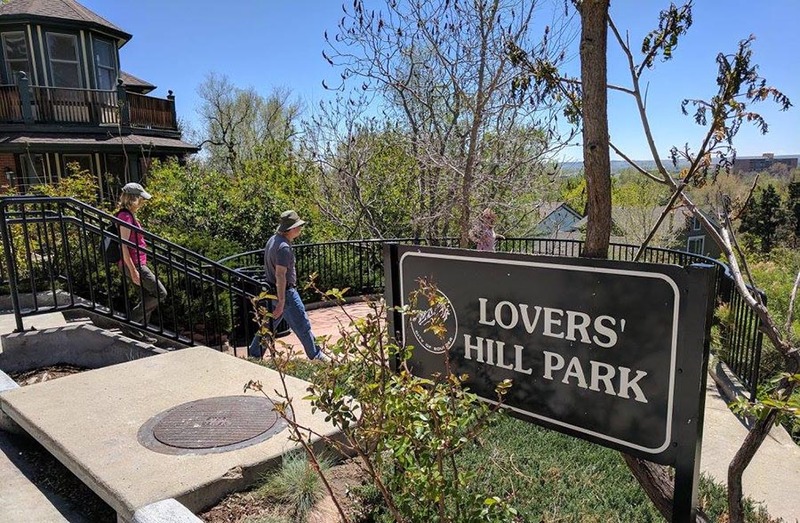 At the top of Lovers’ Hill, you will find a picturesque view of Boulder. Visit this park at sunset for a particularly romantic evening. 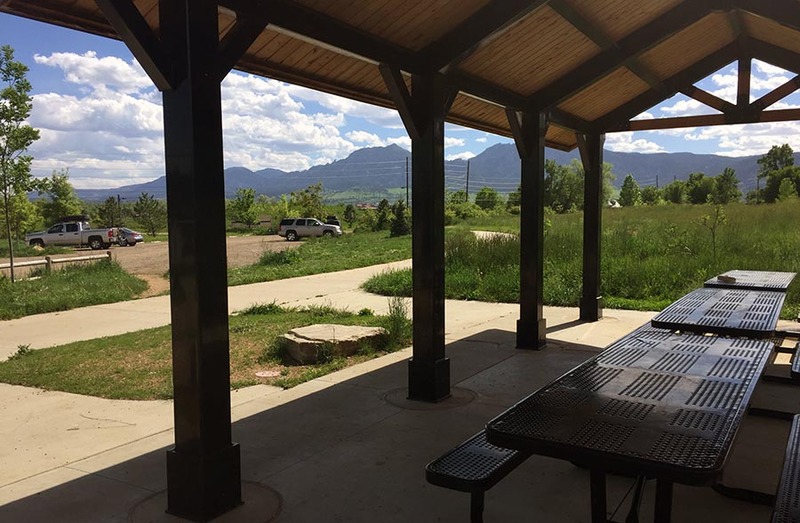 The South Mesa Trailhead is the place to picnic if you want to avoid the Chautauqua crowds but still get in some hiking. There are seven picnic tables at the parking lot, which give you the option to start or end your hike with a pre-packed picnic. There are restrooms located at the trailhead. The trailhead connects you to a variety of routes. Take a short hike out and back or spend all day exploring the different connections these trails make.